How to backup your notes? 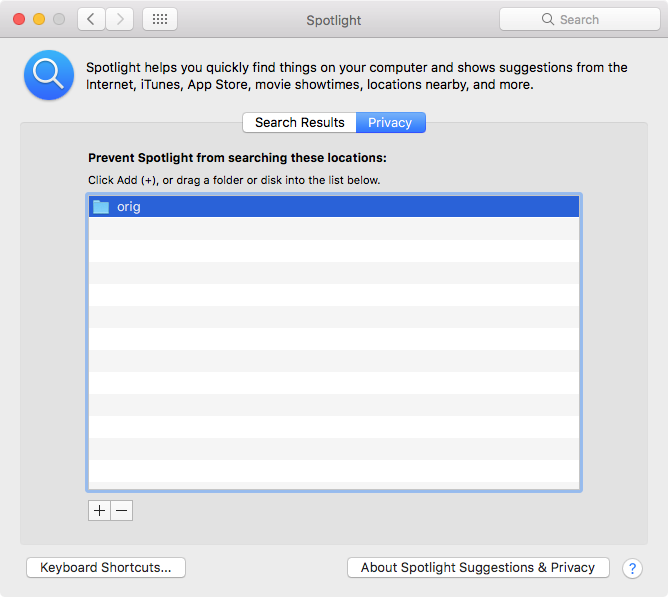 Before using Spotlight you tell Spotlight to stop indexing folder geekbook/engine/data/orig. Thus some technical copies used by Geekbook internally of your notes will not be index by Spotlight. You can keep your notes under Dropbox etc. 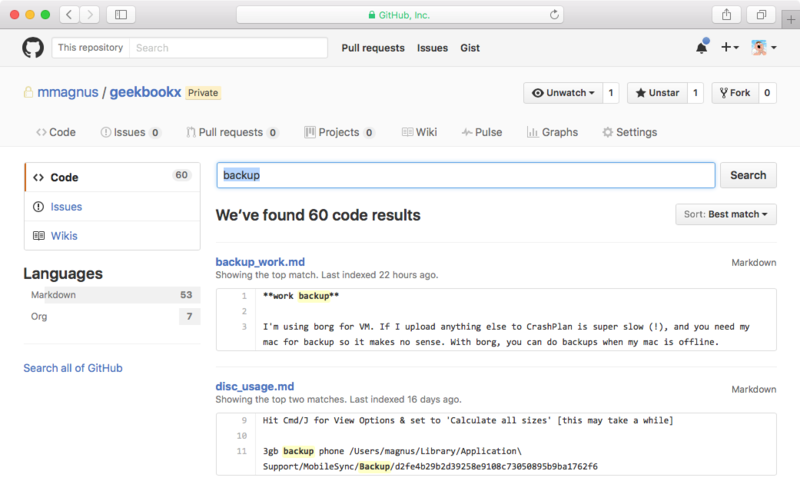 If you want to backup your notes, we recommend to use git :-) and keep your notes as you keep you source code and commit changes and push it to your private (so no one can read it ) repository. For private repositories you can use GitHub but you have to pay. You can how your notes always online! You can use Borg. Borg (BorgBackup) is a deduplicating backup program. 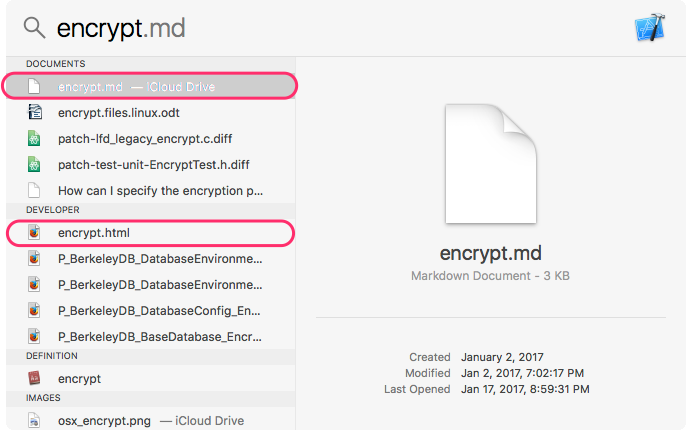 Optionally, it supports compression and authenticated encryption. Borg is way more complex than this. Read please Borg.